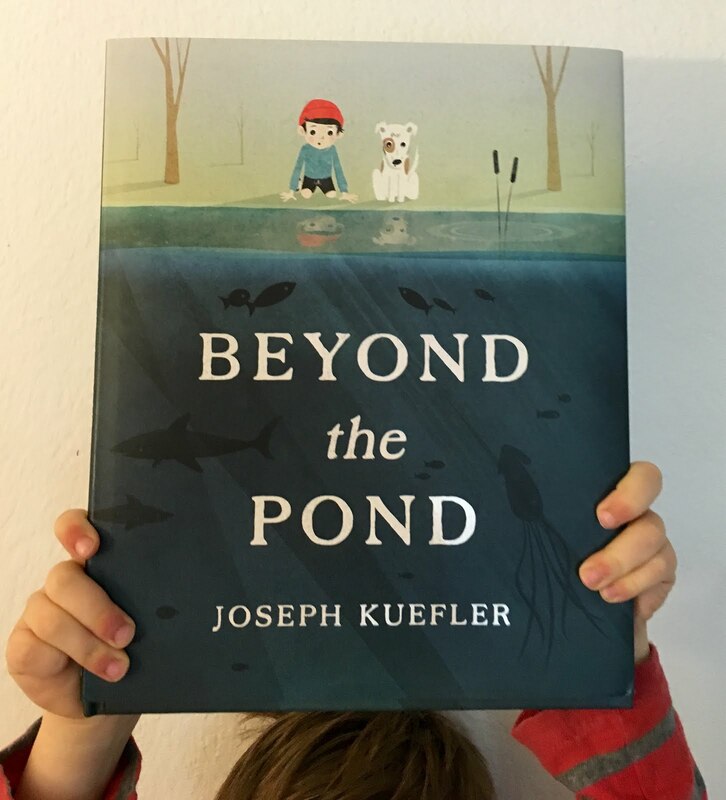 Beyond the Pond is Joseph Kuefler's first picture book. May all authors have similar debuts. Beyond the Pond is the story of Ernest D. who escapes his too ordinary world by exploring the depths of the pond in his backyard. With his faithful dog, he dives through the pond into another world that is tiny and tall, ghoulish and ghastly, and everything in between. Before diving back into the pond, he notes that "All this was in hiding in a pond... How exceptional." When he returns, his life seems a little less small now that beyond every street and corner is a place unexplored. And that is my favorite part. 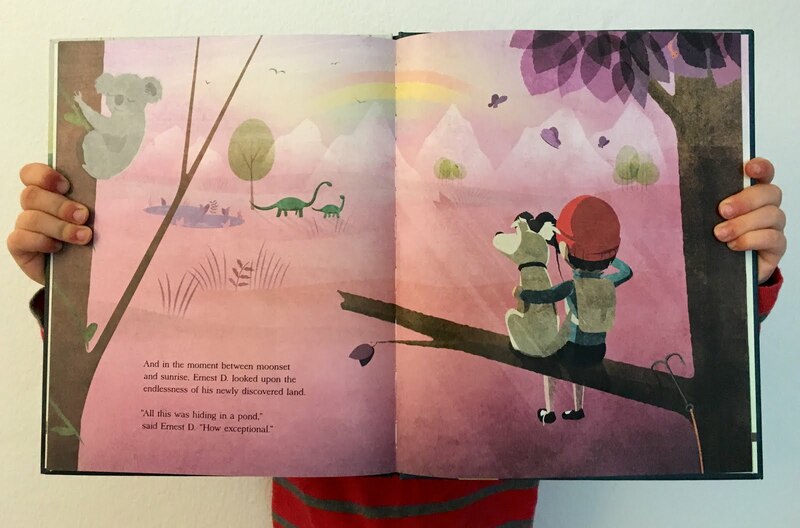 It's how I would like my children to see the world, as an exceptional place, and one with endless opportunities to discover and explore. 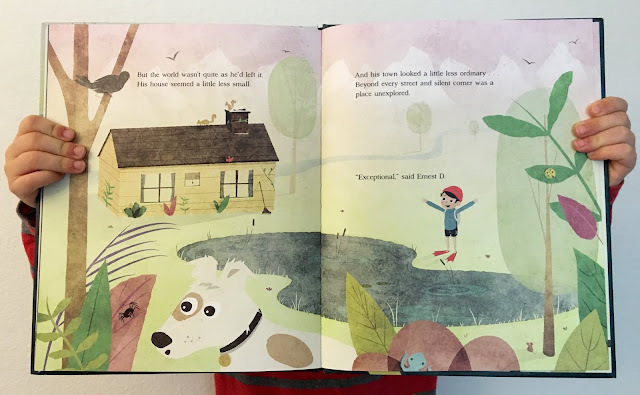 If you read and enjoy this title, I highly recommend checking out This is Sadie by Sara O'Leary and Julie Morstad. Like Ernest D., Sadie sees endless possibilities to discover and explore. It's an exceptionally beautiful story about a young girl who seamlessly experiences her world through both the real and imaginary.